This is the single best audiobook ever recorded by Patti Smith. It is not going to change the way you do business, but it might change the way you live. It's about love and loss and art. Patti Smith is a poet and singer, mostly known for her debut album, ""Horses"", said to mark the beginning of punk music. 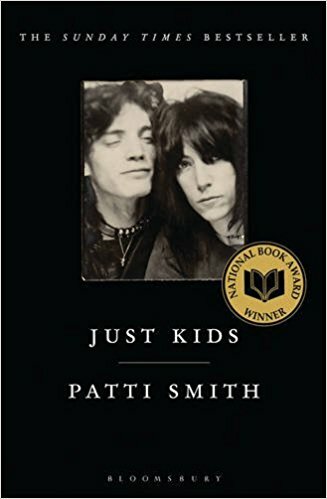 I read the book after seeing Patti perform live a couple of years ago, and it was amazing. As a tech founder / investor, the vast majority of my friends are also people involved in the technology world. We have the same problems, the same points of view, you basically live in a bubble which narrows a lot your understanding of other people. Yet Patti wrote about her artistic beginnings and she described such a different world - the early '70s in New York, the emerging punk scene around CBGB, and Andy Warhol's entourage. The book is so candid about those people's values and choices is almost disturbing. Loved it. I finished it in one sitting, then wept. It's that good.